The ATA is the leading organization focused on thyroid biology and the prevention and treatment of thyroid disorders through excellence and innovation in research, clinical care, education, and public health. AbbVie is a global, research-based biopharmaceutical company which combines the focus of a leading-edge biotech with the expertise and structure of a long-established pharmaceutical leader. AbbVie is committed to using unique approaches to innovation to develop and market advanced therapies that address some of the world’s most complex and serious diseases. Acella Pharmaceuticals, LLC is a specialty pharmaceutical company committed to innovating the healthcare field by delivering quality products at affordable prices – bringing value to our customer base while providing savings and choice to patients nationwide. Our diverse portfolio of therapeutic products helps patients with a variety of healthcare needs in the following areas: endocrinology, dermatology, Women’s health, pain management, cough and cold, and nutritional supplementation. In relation to endocrinology and thyroid health we manufacture and sell NP Thyroid – indicated for the treatment of hypothyroidism. NP Thyroid is a natural desiccated porcine thyroid extract therapy, available to pharmacies and distributors nationwide in 15, 30, 60, 90 or 120 mg tablets. AmCad BioMed Corporation (AmCad) was founded in 2008, dedicating to developing innovative ultrasound Computer-Assisted Detection (CAD) devices. AmCAD-UT is the world’s first ultrasound CAD for thyroid cancers, which had obtained FDA and CE Mark approval. AmCAD-UT assists the medical professionals in analyzing thyroid cancer features including echogenicity, echogenic foci, texture, margin and anechoic area. Another innovation product of AmCad, AmCAD-CA, is a digital cytology analysis system developed for thyroid cancer cells. AmCad BioMed’s goal is to develop a platforms with its core-technology by providing high value-added, state-of-the-art medical solutions targeting a wide variety of clinical applications. AACE, established in 1991, is a professional medical community of clinical endocrinologists and physicians that treat endocrine disorders. AACE is committed to enhancing its members’ ability to provide the highest quality of care. As the country’s largest professional organization of clinical endocrinologists, AACE has more than 6,600 members in 97 countries, who are devoted to providing care for patients with endocrine disorders. Please visit the AACE Membership Booth for applications, our clinical guidelines, and all the latest information and resources for physicians and your patients. At Eisai Inc., human health care (hhc) is our goal. We give our first thoughts to patients and their families, and helping to increase the benefits health care provides. As the U.S. pharmaceutical subsidiary of Tokyo-based Eisai Co., Ltd., we have a passionate commitment to patient care that is the driving force behind our efforts to help address unmet medical needs. We are a fully integrated pharmaceutical business that operates in two global business groups: oncology and neurology (dementia-related diseases and neurodegenerative diseases). Each group functions as an end-to-end global business with discovery, development, manufacturing and marketing capabilities. To learn more about Eisai Inc., please visit us at www.eisai.com/US. ENDOCRINE EDUCATION, INC is a not-for-profit Massachusetts corporation owning and publishing WWW.THYROIDMANAGER.ORG. Our website-web-book- is a million word on-line textbook written by MDs and for MDs covering all of thyroid disease and thyroid pathophysiology. It is comprehensive, authoritative, constantly updated, and FREE, and receives about 50,000 hits by +/-2000 readers every day. Thyroidmanager is complemented by a second on-line comprehensive web –book, WWW.ENDOTEXT.ORG, covering all of Endocrinology, which receives nearly 4,000 hits by 1000 readers from around the world each day. The Endocrine Society is the largest global community of endocrinology professionals dedicated to accelerating scientific breakthroughs and improving health worldwide. We envision a world in which advances in endocrine science, education, and care promote optimal health and well-being. We are unique in that our members are not only on the frontier of breakthrough research discoveries, but they also apply this knowledge in the treatment of patients with hundreds of debilitating hormone-related diseases and conditions, such as diabetes, obesity, osteoporosis, thyroid disorders, and infertility. EndocrineWeb.com is one of the largest and oldest websites focused entirely on endocrine disorders. HCP sections include Research News Briefs, Expert Q&A, Meeting Highlights, Literature Reviews and more. Patient sections on EndocrineWeb.com offer a comprehensive, highly regarded, clinically relevant range of endocrine-related disorders designed to empower patients to better understand their condition and how to manage their care more effectively in conjunction with their healthcare providers. Esaote North America, Indianapolis, part of the Esaote Group, a global leader in research, production and marketing diagnostic medical equipment. Among the largest manufacturers of ultrasound systems worldwide, Esaote prides itself in achieving superior price and performance over competitors through focused ultrasound and office-based MRI imaging. Visit us at www.esaoteusa.com. Founded in 1994, Exelixis, Inc. is a commercially successful, oncology-focused biotechnology company that strives to accelerate the discovery, development and commercialization of new medicines for difficult-to-treat cancers. Exelixis is on a mission to help patients recover stronger and live longer. Gemini Laboratories, LLC – now a subsidiary of Amneal Pharmaceuticals – is a US-based specialty pharmaceutical company that develops and commercializes prescription products primarily focused on endocrinology and other therapeutic areas. Following our combination with Amneal, we are working to integrate our business into Amneal’s Specialty division, leveraging enhanced R&D, marketing and investment capabilities to strengthen our commitment to delivering proprietary medicines to the U.S. market. Learn more at Gemini-labs.com and Amneal.com. The Graves’ Disease & Thyroid Foundation provides evidence-based educational and support services for patients living with Graves’ disease, thyroid eye disease, Hashimoto’s thyroiditis, and other thyroid-related disorders. Our services are provided via phone, U.S. mail, e-mail, online bulletin boards, social media, informational online materials, local support groups, and national conferences. IBSA is a world leader in the treatment of thyroid disease and the developer, manufacturer and distributor of the first and only liquid levothyroxine formulation for the treatment of hypothyroidism, available in soft gel capsules and marketed as Tirosint®. For full prescribing information visit https://www.tirosint.com/wp-content/documents/Tirosint-PI.pdf. Interpace Diagnostics is a provider of molecular testing for numerous types of cancer including Thyroid cancer. The Company offers a next generation sequencing based mutational panel, ThyGeNEXT™, and ThyraMIR®, it’s miRNA Classifier for indeterminate thyroid nodules. ThyGeNEXT and ThyraMIR performed together represents the only combination product that has the ability to both rule in and rule out cancer. Emerging data is providing additional evidence of the clinical validity and utility of this unique test combination. Both ThyGeNEXT and ThyraMIR are covered by Medicare and most commercial payers. Jubilant DraxImage Inc. (JDI) is a wholly-owned subsidiary of the Company, Jubilant Pharma. JDI develops, manufactures and markets radiopharmaceuticals used in Nuclear Medicine for the diagnosis, treatment and monitoring of various diseases. JDI provides high quality specialty products to global hospital-based customers and specialized radiopharmacies and ultimately through them, patients. The business is backed by a dedicated research and development team, specialized manufacturing, with strong regulatory affairs and commercial operations. The areas of specialization include cardiology, pulmonology, skeletal, and endocrine therapies. LLC is a 501c3 non profit organization that encompasses the world. It guides those preparing for Radioactive Iodine Treatments and Whole Body Scans through the Low Iodine Diet. Our website is filled with albums of safe foods. We provide 24 hour support for our members. The Mission of the Light of Life Foundation (a 501(c)(3) non-profit organization) is to improve the quality of life of thyroid cancer patients through continual education of the lay public and the medical community, and by promoting research and development to improve thyroid cancer care. Loxo Oncology is dedicated to the discovery and development of targeted therapies in the treatment of cancer. Our research focuses on single gene abnormalities, such that a single drug has the potential to treat the cancer with dramatic effect—aiming to maximally inhibit the intended target. We aim to develop purpose-built, highly selective therapies designed to inhibit cancer-driving molecular targets in genetically defined pediatric and adult patient populations. Our pipeline and clinical development programs feature highly selective compounds under evaluation in studies worldwide. Karger Publishers is presenting the brand new Graves’ Orbitopathy: A Multidisciplinary Approach – Questions and Answers, 3rd, revised and expanded edition. Free samples of European Thyroid Journal, an international journal for basic, translational and clinical thyroidology will be available. Other journals on display: Hormone Research in Paediatrics and Neuroendocrinology. The book series Endocrine Development, Frontiers in Diabetes, and Frontiers in Hormone Research will also be on display. Thyroid is the leading, peer-reviewed resource for original articles, patient-focused reports, and translational research on thyroid cancer and all thyroid related diseases. The Journal is the exclusive source for the authoritative and updated American Thyroid Association (ATA) Guidelines for Managing Thyroid Disease. The program also includes comprehensive coverage of thyroid-related care and research with Clinical Thyroidology® and VideoEndocrinology™. This authoritative journal program delivers in-depth coverage on topics from clinical application and primary care, to the latest advances in diagnostic imaging and surgical techniques and technologies, designed to optimize patient care and outcomes. UBC leads the market in providing integrated, comprehensive clinical, safety, and patient services. Our experts are committed to working in unison with pharmaceutical and biotech organizations to effectively navigate the product lifecycle and make medicine and medical products safer and more accessible. By powering unsurpassed expertise and experience with proprietary software, UBC stands out in the generation of real-world evidence of product safety, value, and effectiveness. Praxis Medical is developing the CytoCore (FDA/CE pending) to revolutionize thyroid biopsy (FNA) procedures. It uses a battery-powered motor to rotate a 25ga needle when suction is applied to the syringe. The rotation shears surrounding cells to produce vastly greater collection yields. Increased yields improve diagnostic certainty, enabling the physician to make fewer attempts and reducing patient discomfort. The CytoCore was invented by John Fisher MD, an interventional radiologist and inventor of the Biosentry, a device that prevents lung collapse after lung biopsy (now owned by Angiodynamics) and the Hydromark breast biopsy site marker (now owned by Devicor). PHFI is a public private initiative that has collaboratively evolved through consultations with multiple constituencies including Indian and international academia, state and central governments, multi & bi-lateral agencies and civil society groups. PHFI is a response to redress the limited institutional capacity in India for strengthening training, research and policy development in the area of Public Health. Structured as an independent foundation, PHFI adopts a broad, integrative approach to public health, tailoring its endeavours to Indian conditions and bearing relevance to countries facing similar challenges and concerns. The PHFI focuses on broad dimensions of public health that encompass promotive, preventive and therapeutic services, many of which are frequently lost sight of in policy planning as well as in popular understanding. From cell culture to immunoassays, fluorescent-detected immunoassays and molecular systems, Quidel has a multitude of solutions to address the needs of physicians and laboratorians. Quidel is a leading manufacturer of diagnostic healthcare solutions that can lead to improved patient outcomes and provide economic benefits to the healthcare system. The San Diego-based manufacturer continues to meet and anticipate a wide spectrum of needs with an eye towards higher quality care for all. With a commitment to providing tools that help physicians practice antibiotic stewardship, Quidel’s innovative tools deliver accurate, fast, easy to use, and cost-effective results. For over 10 years, RGS Healthcare has assisted physicians with the smooth implementation of diagnostic ultrasound systems into their practices. Buying an Ultrasound System isn’t just about the product; it’s about the solution. We listen to your clinical and budgetary needs and recommend the best solution for your practice. Rosetta Genomics works to improve patient lives through diagnostic and therapeutic innovations. Rosetta has commercialized a wide range of proprietary microRNA-based tests, including RosettaGX Reveal (Thyroid microRNA Classifier), as well as other molecular diagnostic assays. The company also offers core FISH, IHC and PCR-based testing capabilities and partnerships in pathology, endocrinology, oncology and urology. Rosetta’s robust test menu is available through CAP-accredited, CLIA-certified labs in Philadelphia, PA and Lake Forest, CA. Sanofi Genzyme, the specialty care global business unit of Sanofi, focuses on rare diseases, multiple sclerosis, oncology, and immunology. We help people with debilitating and complex conditions that are often difficult to diagnose and treat. Our approach is shaped by our experience developing highly specialized treatments and forging close relationships with physician and patient communities. We are dedicated to discovering and advancing new therapies, providing hope to patients and their families around the world. Learn more at www.sanofigenzyme.com. Shire is the leading global biotechnology company focused on serving people with rare diseases and other highly specialized conditions. We strive to develop best-in-class products across our core therapeutic areas including Hematology, Immunology, Neuroscience, Ophthalmics, Lysosomal Storage Disorders, Gastrointestinal/Internal Medicine/Endocrine, Hereditary Angioedema, and Oncology. STARmed Co., Ltd. is a young and fast-growing company from South Korea, specializing in Radiofrequency technology. Passionately working on the best possible RF treatment, STARmed has collaborated with a number of Key Opinion Leaders in developing the most innovative Electrodes and leading-edge RF Technology specific to certain tumor types and clinical applications, in thyroid, liver, lung, kidney, myoma, bone, etc. STARmed is now recognized as global leader in Thyroid RFA. ThyCa: Thyroid Cancer Survivors’ Association, Inc., an international nonprofit organization advised by thyroid cancer specialists, educates and supports patients and families through its award-winning website, support groups, person-to-person support, free newsletter, downloadable handbooks and low-iodine cookbook, and materials in 10 languages. ThyCa sponsors webinars, seminars, workshops, and an annual international 3-day conference, as well as Thyroid Cancer Awareness Month, year-round awareness programs for early detection, and thyroid cancer research funds and research grants. The Thyroid Cancer Alliance is an international network of national thyroid cancer patient support organisations and/or thyroid patient support groups, dedicated to working together towards providing support, information and encouragement to patients and their families. Its activities include promoting education and awareness of thyroid cancer to the general public and medical professionals; bringing together leaders of national thyroid and/or thyroid cancer support groups so that they can share information and learn from each other’s experiences; and promoting thyroid cancer awareness all over the world through participation in thyroid cancer awareness month (September). It also participates in umbrella organisations for cancer patient advocacy such as EURORDIS, Workgroup of European Cancer Advocacy Networks (WECAN), and the European Cancer Patient Coalition (ECPC). 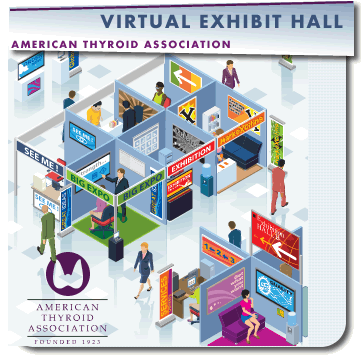 The TCA will be displaying the latest editions of its patient materials on advanced thyroid cancer, in English and Spanish at the ATA in Washington DC. Established as charitable organization in 2002, Thyroid Cancer Canada (TCC) is mandated to provide information and support to patients meeting the challenges of thyroid cancer. With the benefit of a Medical Advisory Panel, TCC provides authored printed matter such as A Patient’s Guide to Thyroid Cancer and the Low Iodine Diet. Additionally, support is provided via patients’ forums, detailed website, Welcome Package, telephone & email, special events, moderated patients’ online forum, and social media portals. TCC has participated in and co-authored various studies in peer-reviewed journals. Thyroid Federation International (TFI) is a nonprofit organization made up of member organizations from around the globe. TFI encompasses the vision of a world thyroid organization to deal with the problems of thyroid disease on a global perspective. The objectives of TFI include a) encourage and assist the formation of patient oriented thyroid organizations b) work closely with the medical professions to promote awareness and understanding of thyroid disorders and their complications c) provide, through member organizations, information and moral support to those affected by thyroid disorders d) promote education and research related to thyroid disorders. The #TruthAboutTC campaign is a partnership between the Thyroid Cancer Survivors’ Association, Light of Life Foundation, and Eisai Inc. that aims to help change perceptions of thyroid cancer and provide support to those affected by this serious disease. For more information please visit https://truthabouttc.com. ThyroSeq is a joint partnership between the University of Pittsburgh Medical Center (UPMC) and CBLPath, a Sonic Healthcare Company. ThyroSeq is an innovative test for thyroid nodules and cancer that is based on next generation sequencing of DNA and RNA collected from a thyroid nodule. With more than a 10-year history of continuous refinement, it incorporates all major scientific discoveries and technological advances to provide the most accurate diagnosis of benign or malignant disease in thyroid nodules and guide more individualized patient management. For more information, visit ThyroSeq online. CBLPath, a Sonic Healthcare Company, is a leading provider of sub-specialized anatomic pathology and molecular diagnostic laboratory services. For more information, visit CBLPath online and Sonic Healthcare USA online. UBC unites unsurpassed experience in generating real-world evidence of global product safety, value, and effectiveness, with the strength of its parent company, Express Scripts, one of the nation’s largest healthcare companies. UBC leads the market in providing integrated, comprehensive periapproval, safety, and commercialization services. Yale Pathology Labs is a comprehensive anatomic pathology service with the internationally recognized teaching and research expertise of Yale University School of Medicine. When you choose to use Yale Pathology Labs you will find an exceptional medical community pooling it’s technical resources and it’s vast array of human talent to resolve the diagnostic question at hand. ZERO GRAVITY is a wholesale company for LED medical devices that are FDA approved and based on NASA technology.